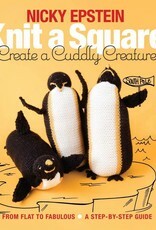 KNIT A SQUARE Creat a Cuddly Creature Book - Woolly&Co. 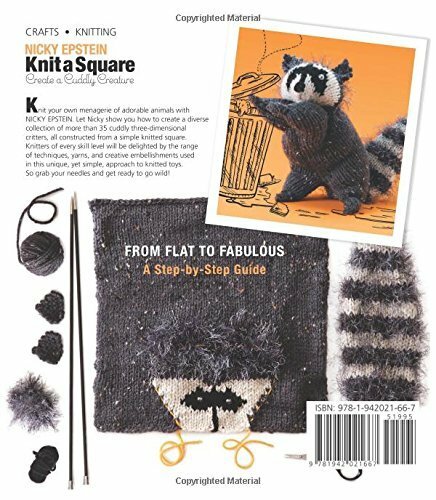 Wise owls, feisty fighting fish, and delightful turtles are just a few of the 25 cute critters that knitters will enjoy constructing from this collection of addictive projects. 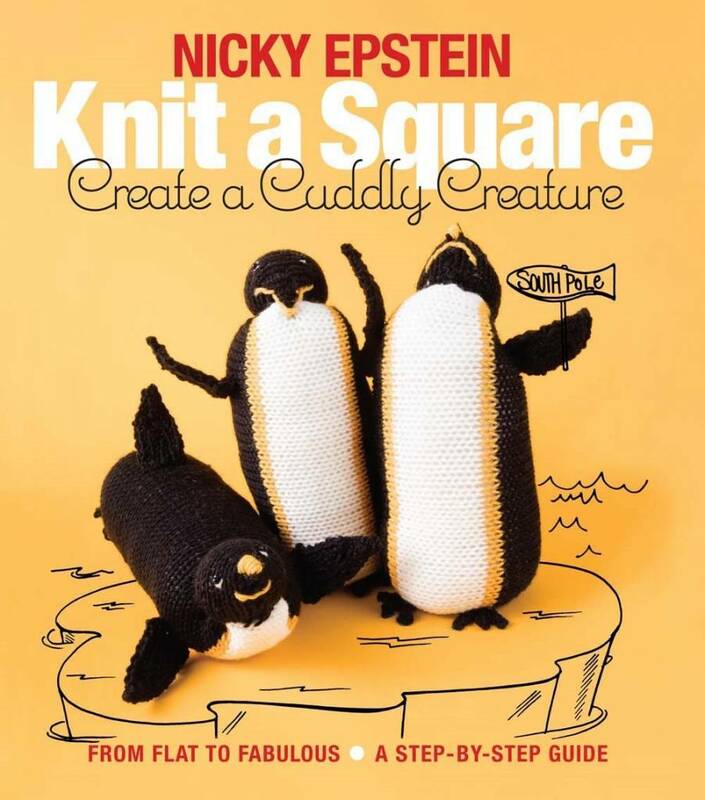 Using Epstein’s fresh approach to crafting stuffed animals, and her simple step-by-step instructions, knitters need only make a square (often with color work or quirky techniques), sew it into the designated shape, and stuff it! 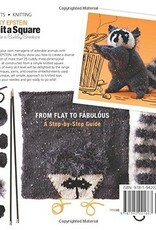 The results are adorable, and fun embellishments add rich detail and character to each creature. Nicky Epstein is a prolific knitwear designer, the author of many bestselling books on knitting, and a popular teacher who travels nationally and internationally to lecture and give workshops on her unique knitting techniques. Her numerous books published by Sixth&Spring have sold more than 650,000 copies. She has created designs for many yarn manufacturers, and her work is frequently published in knitting magazines, including Vogue Knitting and Knit Simple. In 2005 she received a prestigious award from The National Needle Arts Association, and in 2006 her work was featured in a retrospective fashion show at the Museum of Arts and Design in New York City.